Look, I’m obsessed with the man. I went to the Rainbow in L.A. in hopes of meeting him. I became a huge Motorhead fan a long time ago and, when I did, my college friends thought it was some sort of elaborate joke. They thought I was trying to be funny by buying one of their releases after another. “I don’t get it, dude. All their albums sound the same! And, like they wear leather jackets and bullet belts and like, they sing about rockin’ and rollin’ and like….” you get the idea. I mean, I get it. Lemmy isn’t the most eloquent lyric writer and Motorhead albums do all sound the same. But, thankfully hard rock and hairy motorcycle culture has sort of come full circle as actually kind of cool again – at least in Detroit ;). But, through it all, I learned that Lemmy is just a really cool guy! He came of age with rock ‘n’ roll, having learned to play the guitar in 1960, at age 14, when he saw rock ‘n’ roll performers with women pining for them on TV. He saw John Lennon kick the crap out of hecklers at the Cavern club in 1962! How cool is that? 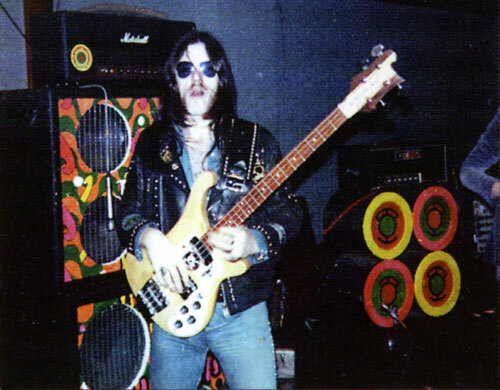 He was in the Rainmakers, the Motown Sect, the Rockin’ Vickers, Sam Gopal, Opal Butterfly and finally Hawkwind before he embarked on Motorhead. He also dealt acid to Jimmy Hendrix. So how can anyone knock the man? Yeah, so I try to get all his stuff. I didn’t review The Headcat because it kinda doesn’t fit the theme of the blog but, so, here we go, Lemmy’s early discography. 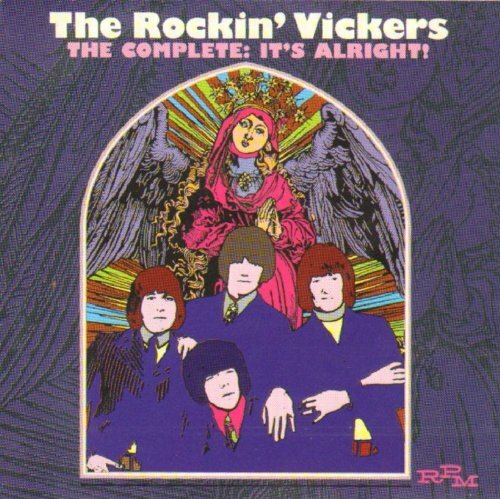 The Rockin’ Vickers were together from 1963 to 1967. The original lineup consisted of Harry Feeney on vocals, Ian Holbrook on guitar, Steven “Mogsy” Morris on bass and Cyril “Ciggy” Shaw on drums. On the wiki page it lists Nicholas Gibbons as a second guitarist around the time Ian Holbrook was in the band but that’s not in the liner notes so I don’t know what that’s all about. 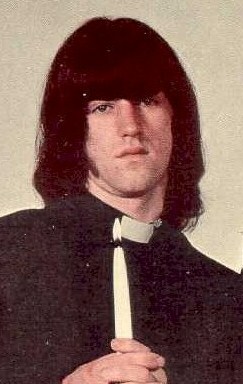 Ian “Lemmy Kilmister” Willis replaced Ian Holbrook (and apparently Gibbons) on guitar in 1965. The band only released four singles, most of which, consisted of covers and Lemmy doesn’t even play on the first one. So, it’s safe to say that, if Lemmy wasn’t on the compilation, The Complete: It’s Alright, I probably wouldn’t have much interest in it. The Complete: It’s Alright contains fourteen tunes, the first eight of which are from the group’s four singles. The rest are outtakes. And well, let’s see, these aren’t hard edge mod rock songs like the Who, Creation or Kinks on “You Really Got Me.” The songs bounce around from energetic 12-bar beat songs – you know “I Saw Her Standing there” – cutesy croony ballads and mid 60s pop/rock. I lied though, they do “It’s Alright”, a complete rip off of “Anyway, Anyhow, Anywhere” or, an interpolation or something. And yeah, after the first two songs – Neil Sedaka’s “I Go Ape” and the bouncy “Someone Like You” – the guitar tone gets a bit tougher and more garagey. Is that Lemmy singing on “Little Rosy” behind that little, cute keyboard thing? That’s funny! I mean, I think it’s Lemmy! It sure doesn’t sound like the other guy who just kinda sings in a normallish, non-distinct style. Acid. And so Ian “Lemmy” Willis joined Sam Gopal, a Malaysian tabla percussionist who moved to London in 1962, aware that British pop groups were usurping Indian sounds. If you must know, the other two guys in the band were Roger D’Elia on guitar and Phil Duke on bass. The band formed in 1967 after Gopal had formed and disbanded a bunch of other groups who performed on the same stage as all the other psychedelic bands in all the other psychedelic clubs in London. For those who are unaware, tabla percussion are those hand drums you hear on “Love You To.” Got it? Even though the group is named Sam Gopal, guitarist/singer Ian “Lemmy” Willis, as he was credited on the LP, is the actual star based on the fact that he wrote all the original tunes – apparently in a single night. I don’t know how true that is and, when I look at the CD reissue, the credits actually list all the members on a number of tunes. I don’t know or care really. They also cover “Season of the Witch” and “Back Door Man”, which wasn’t on the original but released as a single. Also “Angry Faces” is credited to Alan Davidson, whoever that is. The music: Psychedelic! That’ it! I mean, the entire thing is one big whirl of acid-trippy nonsense! It’s a fun record for sure and either Lemmy, Roger D’Elia or both just constantly play wah-wah solos through-out as Lemmy moans the lyrics in his patented hoarse, thick British voice. I mean, he wrote every song in one evening, so I don’t think the lyrics have any deep meaning at all. It really is all psychedelic gibberish. But it’s DARK psychedelic gibberish! Some titles of interest include “Cold Embrace”, “The Dark Lord”, “The Sky Is Burning”, “You’re Alone Now” and “Angry Faces.” Songs which don’t have dark titles but are still weird include “Horse”, “Grass”, “Escalator”,”Yesterlove” and “Midsummer Night’s Dream.” And I guess the title “It’s Only Love” could have come from any band. Some songs have prettier melodies, some have blues licks, some are more distorted than others and some are a bit louder and wilder but overall, the whole album has a druggy vibe. And the drums on all but one song are done with tabla so most of the album makes you feel like sitting and just tripping out. “It’s Only Love”, as mellow as it is, is one of the standouts. “Midsummer Night’s Dream” is the only song that rocks; albeit in a druggy way but still has an actual drum kit propelling the tune. The acoustic melody in “Yesterlove” sounds exactly like the start of “Stairway to Heaven”; I’m not gonna draw any conclusions from this! “You’re Alone Now” sounds like the beginnings of both Lemmy’s Hawkwind tune “The Watcher” and Motorhead classic “Stone Dead Forever” both lyrically and musically. The “Back Door Man” cover is pretty faithful. But I know what you really want to know! And the answer is; you gotta hear it! 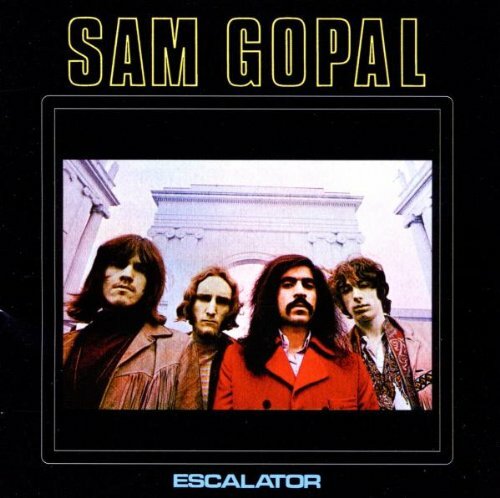 Sam Gopal strip away all of the prettiness and sublimity from the original “Season of the Witch” and rumble through it with a heavy bass part, unsubtle, basic chords and some broad shrieking the “must be the season of the witch!” I don’t think I need to describe the difference between the voices of Donovan and Lemmy.